We are often asked if we think print media is dead? While it's true the internet has given us another way to advertise and share information, print marketing is far from dead. In fact, guess who sends us a print marketing piece in the mail about every three months? You guessed it… Google does! Even Google understands the importance of driving traffic to their website with tangible marketing collateral. 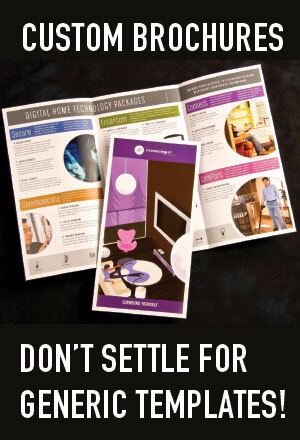 Have you have ever been embarrassed to pass out your business card or brochure? How many times has someone asked you for more information and you told the big lie… "we're actually working on a new brochure now, it's at the printer." Stop apologizing for your marketing materials, we can create business identity and sales brochures that you will be proud to hand out. 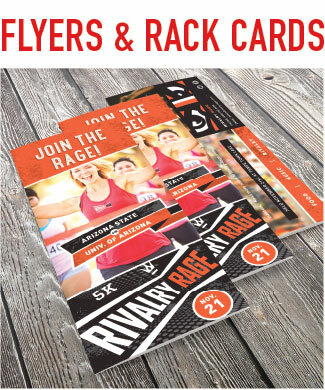 Whether your needs are as simple as a common rack card or as complex as a complete sales kit with presentation folder and one-sheet inserts... we can give you the edge you need to compete in today's aggressive marketing environment. Need a website or help with Social Media management? we can help with that too! One of the most basic principles in marketing strategy is to communicate your message at every possible customer contact. A successful marketing plan provides opportunities for your people to tell your story whether they are making a sales call, performing a service, shipping a product or mailing an invoice. Never pass up an opportunity to tell your customers more about your business!